Texas Orthopedics has a long-standing and special relationship with the island nation of Haiti. Following the disastrous earthquake in 2010, our practice made multiple trips and sent countless staff there to help with humanitarian efforts—delivering medical supplies, setting up clinics, performing procedures, donating prostheses, and offering assistance in any way that we could. Six years ago, our partnership started with a great organization called the Mission of Hope Haiti. And we are proud to help our Haitian friends once again, following the recent, devastating fallout from Hurricane Matthew in early October. 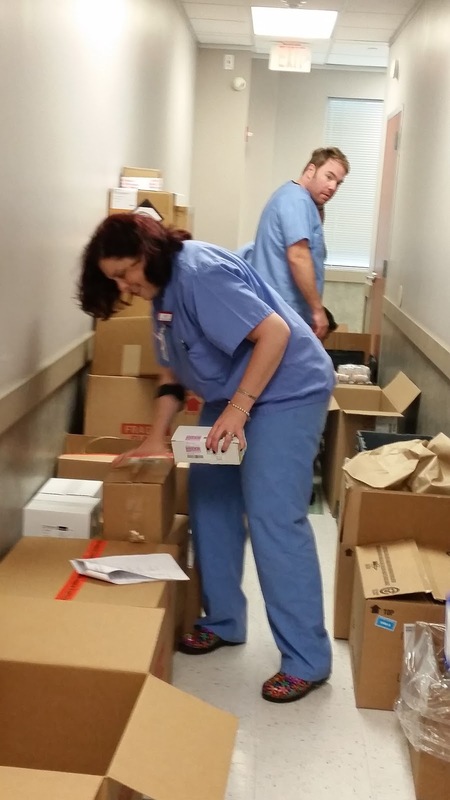 Our physicians and surgery center just purchased nearly $9,000 worth of medications and supplies to donate to relief efforts once again via the Mission of Hope Haiti. 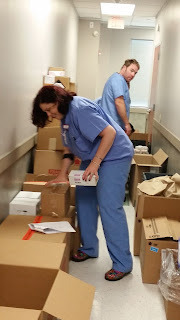 Everything from pain medication and antibiotics to IV bags and suture kits were included in this past shipment. We are also so proud to have many individual Texas Orthopedics staff members who regularly travel to Haiti selflessly to offer medical assistance. Currently, as a practice, we are helping to build a much-needed hospital on property owned by the Mission of Hope Haiti. To learn more about the special work being done by this organization, please visit http://www.mohhaiti.org/. On any given weekend, or even most afternoons and evenings following school, you’ll find fields full of kids playing soccer throughout Central Texas. Soccer is a popular sport here year ‘round, but especially during the fall. According to the two major national youth soccer organizations, there are close to 4 million kids currently registered as players across the country. Just as the sport is reaching an all-time high in popularity, new research shows there’s a rise in injuries in young players. 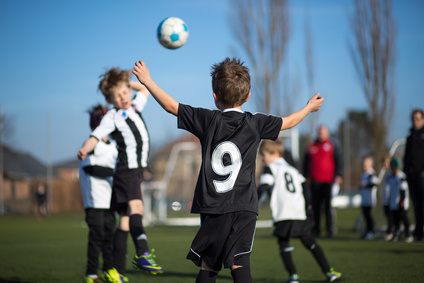 Nationwide Children’s Hospital in Oho conducted a study on children’s soccer injuries, ages 7 to 17, spanning nearly 25 years (from 1990-2014). There was a 78 percent increase in soccer-related injuries reported in hospital emergency departments, with the annual rate of injuries soaring by 111 percent. The majority of injuries occurred from falling or when a player was struck by another player or the ball. Girls were more prone to knee or ankle injuries than boys. 22 percent were soft tissue injuries (to a muscle, ligament, or tendons). Concussions accounted for 7 percent of all injuries. According to experts, one possible explanation for the rising number of injuries could be attributed to the sheer number of kids playing these days. More kids are involved in youth sports now over any other extracurricular activity…and kids are finding their way to the fields at an earlier age than ever. The younger a child starts playing a sport, unfortunately, the greater the risk there is for injury. To keep your soccer stars safe this season, encourage them to fuel up with proper nutrition, and warm up their bodies before each game or practice. And also, make sure that they get ample rest between games so their growing muscles and bones have time to recover. We’ve all done it. Googled a symptom or ailment in the hopes of diagnosing and treating ourselves (or a child) in order to avoid an often timely, and costly trip to the doctor’s office. Well, new research suggests that may not be such a great idea. A recent study published in the JAMA Internal Medicine pitted actual physicians against online medical apps, or symptom-checker programs, in clinically diagnosing patients. Nearly 235 doctors were given 45 clinical vignettes on patients that they then had to diagnose just using the information provided, no medical exams were performed. The online medical resources, or mobile apps, consulted were those offered by WebMD and the Mayo Clinic in the United States, and the Isabel Symptom Checker in the United Kingdom. Human doctors got the diagnosis right 72% of the time, compared to 34% for the online medical experts. When asked to rank possible diagnoses, physicians ranked the correct diagnosis first more often than the online tools. Overall, it was clear that diagnosis by an actual healthcare provider is a much safer bet than relying solely on an online resource. 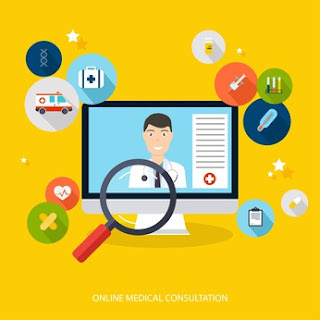 However, it was agreed that online resources can be extremely helpful to physicians in verifying potential diagnoses with rapidly changing symptoms or in high-stress settings, such as an emergency room. 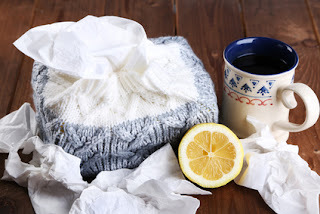 A sneeze, a sniffle, slightly cooler temps, and just like that…cold and flu season is here. While a nasty cold or bout of the flu is no big deal for most people, both can be pretty harsh, and even potentially dangerous, to someone with a compromised immune system--or someone suffering from an already serious medical condition like arthritis. Arthritis is an inflammatory disease causing painful swelling and stiffness in the joints, and it also renders the body susceptible to greater risk for infection. Make sure your shots are up-to-date for respiratory infections such as flu, pneumonia, and pertussis (whooping cough). Also consider getting a shingles vaccine if you are over 60. Opt for the actual shot instead of any mist versions as they are “dead,” rather than “life” versions of the virus (which could lead to illness), and a much safer choice for arthritics. As always, brightly-colored, vitamin-rich fruits and veggies are great for boosting immunity, and even more so in the cooler months. Don’t forget to also include in your diet the usual anti-inflammatory staples like walnuts, garlic, ginger, tomatoes, and fatty fishes (salmon, tuna, sardines). As little as 20-30 minutes of brisk walking a day can help the body fight off germs, and harmful viruses and bacteria. In fact, a study by the Cleveland Clinic of Ohio determined that when people ages 50 and older exercised daily, they were 29% less likely to get sick, but if they did, they recovered 43% more quickly than those who did not exercise. Daily exercise anyway is super important for arthritis patients, to maintain joint health, so keep it up! Pretty simple, but pretty effective. Frequent hand washing keeps germs you touch from traveling to your nose, mouth, or eyes, which can then infect your whole body. Scrub with soap and water for at least 20 seconds, or use hand sanitizer or moistened wipes, after using the bathroom, handling garbage, coughing or sneezing, or before preparing food. Whenever there is a change of seasons, discuss your usual dosages for arthritis medicine with your physician. Hot or cold temps can influence the body in different ways and alter the effects of some medications while possibly decreasing your immunity. At the earliest sign of a cold or flu, be ready to take action. Use OTC (over-the-counter) meds as directed to treat fevers, aches and pains, coughs, and stuffy or runny noses. Please contact us though for an appointment if your symptoms are severe and don’t lessen after a few days. We are just a couple of weeks shy of November--the month when men’s health is celebrated and several important issues are brought to light, such as prostate and testicular cancers. “Movember” efforts do a great job in educating men of all ages about preventing and protecting themselves from these specific diseases, but what other conditions out there should men be concerned about? A big one is osteoporosis, and we see patients with it every day here at Texas Orthopedics. It is primarily thought of as women’s disease, so it is often overlooked in men by many healthcare providers. Osteoporosis is the progressive loss of bone density as you age, rendering bones weak and susceptible to breaks and fractures. Although women tend to experience more fractures than men overall, when men do suffer from one, it is usually to a more serious degree and with added complications. Fractured or broken hips are one of the more dangerous scenarios for men, potentially leaving a man permanently disabled and twice as likely to die within a year than a woman with a similar injury. According to recent research in The Journal of Clinical Endocrinology and Metabolism, men lose bone mineral density at the rate of approximately one percent per year. 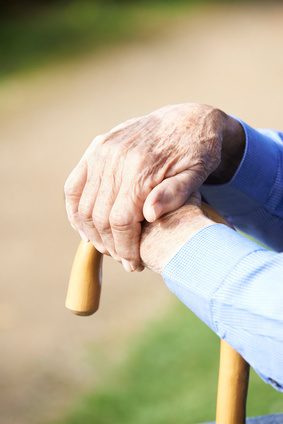 Additionally, one in five men over the age of 50 will suffer an osteoporotic fracture at least once in their lifetime. Many of the risk factors associated with male osteoporosis are the same for women, including being under or overweight, malnutrition, smoking, a family history of the condition, and side effects resulting from medicine/treatments for things such as GERD (gastric-esophageal reflux disease), and celiac disease. Men with prostate cancer who are on androgen deprivation therapy are also at high risk for decreased bone density. Any man with any of one of these risk factors should get checked regularly for osteoporosis. A bone density exam is the best place to start. Once diagnosed, osteoporosis can be treated successfully with a combination of healthy diet and nutritional supplements, exercise to strengthen bones, and medication if needed. If you are a male over 50 years of age and interested in a bone density exam, please contact us for an appointment.